Gorin Tennis Now Has Two New Locations In Bellevue, WA & Saratoga, CA! When it's time to step up your game. 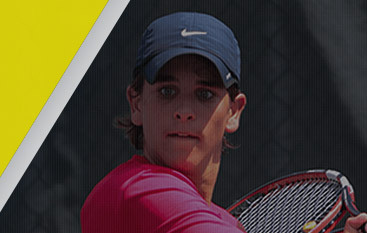 One of the most important techniques in tennis is a strong forehand technique. Learning how to use your body to add propulsion and topspin is critical to gaining an edge over your opponent. 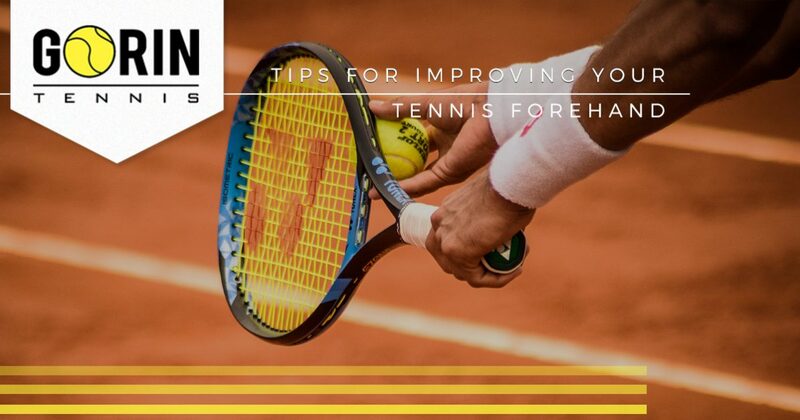 Today we will take a look at some of the ways that you can improve your forehand during tennis lessons so that you will be ready to crush your opponent during your next match. When you’re done reading, call Gorin Tennis Academy and learn about the tennis programs and camps that we offer in Granite Bay. The first thing that you want to focus on when you’re working on improving your tennis forehand is your grip. If something isn’t right with your grip, then you will not be able to have proper control when your racket makes contact with the ball. A common mistake is to hold the racket perpendicular to your hand. The problem with this is that you are not properly supporting the weight of the racket and won’t be able to control it — you will end up tensing up the muscles in your wrist, which will ultimately cause you to have trouble playing with accuracy. One little adjustment that you can make is to spread your fingers out just a little so that your index finger is resting under the racket. This helps with pushing the head of the racket up, as well as aiding with turning the wrist to drive the racket upwards. Just like boxers do not start from a static position, tennis players should not fall into this trap either. A static position makes it much harder to burst forward with any power or momentum. A ready position and a ready state are not the same things. A ready position is where the player is simply standing and waiting to see which direction the ball is headed. Once they determine the directionality of the ball, then they begin to move. A ready state is more like what you observe in boxers at the beginning of their match — it is almost as if they are dancing. 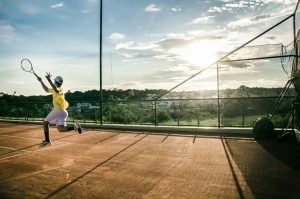 If you want to improve your tennis forehand, and your overall game, then you need to start practicing a ready state. You could choose to bounce from foot to foot, or even do something like miniature split steps, but you have to do something that inspires movement. The common mistake with preparation is that players tend to focus on using their arm to begin the backward movement, when what they should be doing is shifting their body to the side. Turning to the side will give you the power and momentum of your hips as well as force you to use your left arm to do the preparation so that your right arm is ready to swing. The first part of your forehand swing should be done primarily with your hips and shoulders. The second part is when you move your arm through the contact zone to connect with your target, the tennis ball. 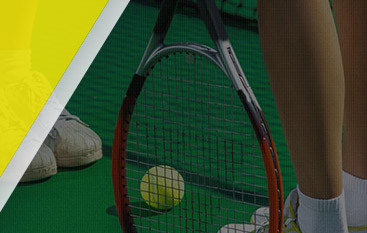 Gorin Tennis Academy in Granite Bay offers tennis lessons for kids of all ages and abilities. Whether you are looking to help your child discover a new love, or you want to improve your skills to move to the next level, you should call us today and learn about the different programs we offer. 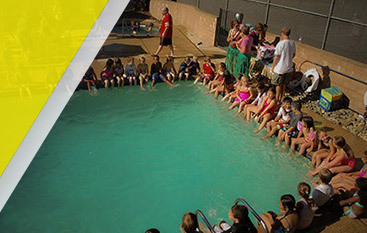 We offer full-time tennis programs with boarding and non-boarding options, after-school tennis lessons, summer tennis programs, and tennis camps. Register now and learn why Gorin Tennis Academy is the only GPTCA certified academy in the U.S.